Each year at the annual conference IAATE presents a series of awards recognizing significant achievements by its members in several fields. Members may also apply for grant funding for conservation projects with the grant awards being made at the conference. 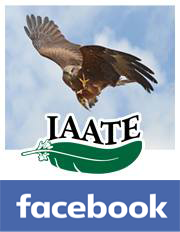 IAATE Conservation Grants are awarded to support IAATE member participation in avian conservation projects and initiatives. The winners will be announced at the Banquet. Attendance at the conference is not a requirement. Videotapes, pictures, papers, etc., can be included with entry/application. IAATE Education Grants are awarded to members to develop and support avian education programs within zoos and other avian facilities. The winners will be announced at the Banquet. Attendance at the conference is not a requirement. Supporting materials such as videos and pictures can be included with entry/application. This award recognizes what the IAATE Board of Directors believes to be the best bird behavior submitted since the last conference. Entries will be judged on the originality of the behavior, the complexity of the training and the incorporation of best practices in bird training. The behavior must be safe for the bird and any trainers, or audience members involved with the behavior. Behaviors may include husbandry behaviors, interpretative behaviors or behaviors in show settings. This award will be given to the paper that the conference attendees vote as the best. All conference attendees get to vote on their favorite paper; so to have a chance at winning this award all you have to do is present a paper. All presenters for the conference have their papers automatically entered for the High Flyer Award. Note that only papers submitted by the submission deadline are eligible. Each year at the annual conference IAATE presents a series of awards recognizing significant achievements by its members in several fields. Members may also apply for grant funding for conservation projects with the grant awards being made at the conference.